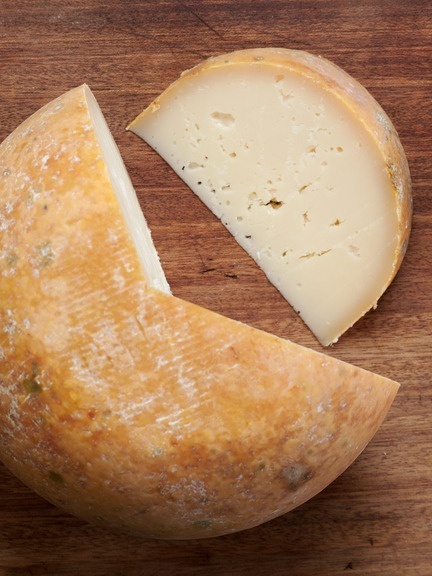 Blackberry Farms’ Singing Brook Cheese is an unpasteurized sheep’s milk cheese available year round. 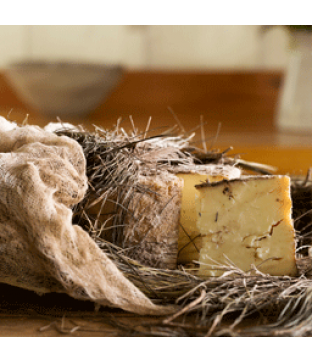 Aged for five to six months, this Manchengo-style cheese has a mushroomy aroma from the earthy, edible rind, and the interior paste is buttery, nutty, and salt which makes this a fantastic table cheese. Let it get to room temperature, slice it up and just snack away with some SweeTango apples or Witch Finger Grapes (perfect time of year for these sweet/scary treats) and leave the crackers in the box. Pair with a fruity Pinot Noir or any small batch ale, this cheese is like the perfect black dress that goes with any occasion. Little Ewe is already sold out for the season, so I’m grateful The Hubby grabbed a small wheel of this pasteurized sheep’s milk treat while he was able. 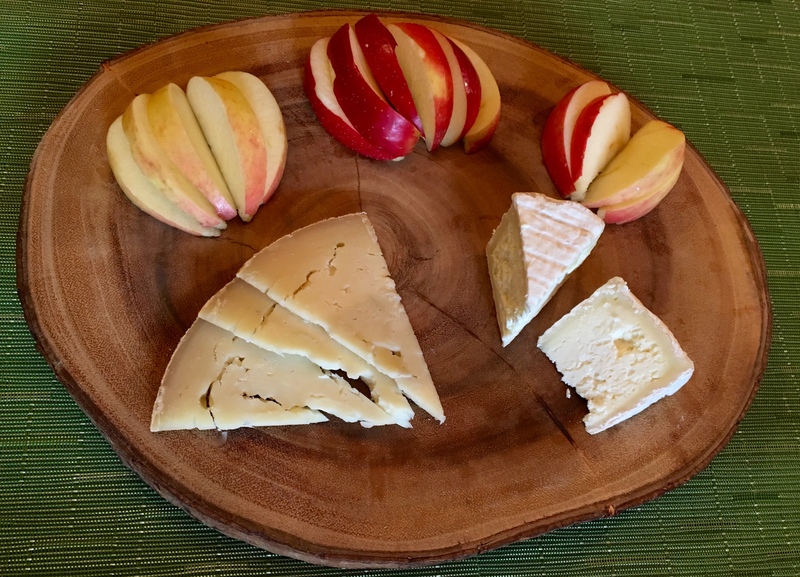 This surface-ripened cheese (ripening from their rinds inward to the interior paste creating a bloomy rind) is cave aged for two weeks; hand turned until the white mold bloom appears on the rind. 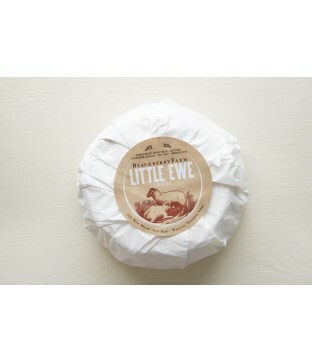 The result is a salty, creamy, sweet cheese that pairs perfectly with tart fruits and crisp white wines. Again, I’d leave the crackers alone and just pile this room temperature cheese on apple slices or pears and call it a day. Sadly, the shop was out of Under The Pines for the season, so I’ll have to wait until his next visit (or I finally get to go myself) to try it. They did have one tiny bit, however, it was past its prime and they refused to sell it. As a consolation gift, they gave The Hubby a jar of their Strawberry Ramp Jam, which I have yet to try, but imagine it will be an excellent pairing with the Singing Brook. Finally, some charcuterie did make its way home and The Hubby tried out his culinary skills using Blackberry Farms’ guanciale. 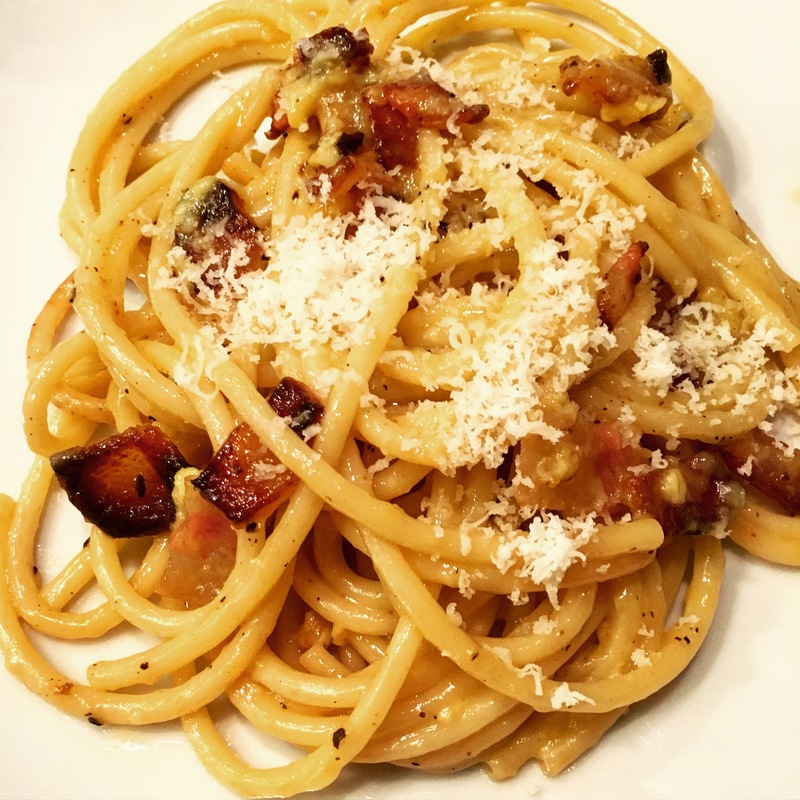 What is guanciale? Similar to bacon and can be used exactly the same way, guanciale is made from Berkshire hog jowl and has more intense flavors. Think of it as the best bacon ever, times ten. The recipe calls for pecorino romano, however, I might suggest parmigiano reggiano since the latter is a bit less salty since it is made with cow’s milk. We used a thicker hollow noodle, which was great, as carbonara is a rather heavy meal. I might suggest chopping up some flat leaf parsley for a bit of green garnish on top, but that’s just me. 25g Guanciale (the cheek of the pork) or pancetta (Italian bacon) cut into small cubes. 50g Parmesan cheese (or aged pecorino) freshly grated. Cook the pasta in a large pan of boiling salted water until al dente. Meanwhile, heat the oil in a pan and fry the guanciale or pancetta until crisp. Lightly beat the eggs in a large bowl with the grated cheese and pepper. When the pasta is ready, drain and add to the pan with the guanciale. Then mix well to coat everything. Take off the heat. Allow to cool slightly. Then add the egg and cheese mixture. Stir to coat the pasta and serve immediately.